Please note: Details of any of these packages are subject to change between now and Auction Night. 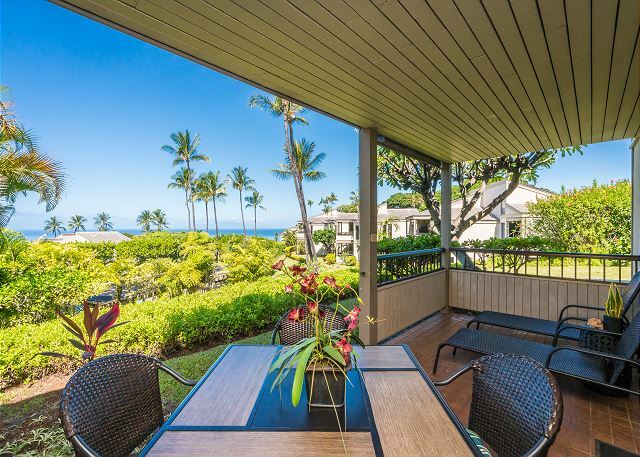 Get ready for your relaxing Hawaiian vacation in this recently updated ground level unit in Ekolu Village Resort, Wailea Maui. Beautiful condo has 2 bed/2 bath, full kitchen, pool on site, wi-fi, and lanai with ocean view. Close to ocean & shops. See photos here. Note: Does not include airfare or other travel expenses. Christmas 2019 unavailable. Mutually agreeable dates with owner. Like us, you’ve probably wondered aloud how Shandong on NE Broadway make such amazing soup dumplings. Wonder no more! School dad and Shandong owner/chef Henry Liu will be preparing and treating you to a multi-course Northern Chinese dinner for 10, including a dumpling and appetizer demonstration, at a private home of a school family. Have fun with a hands-on culinary lesson, taught by expert chefs on North Russell Street. Package includes a private cooking class for 12, with beer & wine included during the class. Chat with the Workshop’s staff to choose your menu theme and secure a future date that works best for your group! M-I-C, K-E-Y… Your family is going to think you’re joking when you tell them you’ve won this dream vacation at Disneyland. Package includes a $1,500 credit toward a 3-night stay at the luxurious Grand Californian Hotel & Spa, a $1,000 gift card to cover park entrance, and professional personalized vacation concierge planning services. (Note: No blackout dates. Airfare is not included). It’s like having valet parking but even better because no waiting in line! Own the best parking spot at school for the 2019-2020 school year! Clearly marked with a custom parking sign, you can come and go as you please, all year long. Enjoy the best table in the house at next year’s auction. You and 9 of your guests will have this reserved table at next year’s event. Your VIP table service includes: custom drinks, dinner served at your table, drink refills during the entire dinner & live auction, and other VIP-only surprises! VIP access to where the Portland Trail Blazers practice! Package includes a 60-minute shoot-around and private tour of the Blazers Practice Facility in Tualatin for 10 children on Saturday March 16 at 10am and gift cards for a sub sandwich party for the kids & chaperones. Also includes an official NBA basketball, signed by the current Blazer team! (Notes: All players must be 8th grade and younger, maximum 10 players. At least 2 adult chaperones required. Date cannot be modified. Shoot-around scheduled while the Trail Blazers team are traveling to an away game; players will not be present). The ultimate package for the ultimate wine lover! Includes a 4-magnum vertical of Calcagno Cellars Wines, an incredible assortment of any wine lover’s must-have accessories (from aerators to GoVino “patio and pool” stemless wine glasses), and a hosted wine tasting party at your home for up to 10 people. The party includes wine and small bites catered by Calcagno Cellars in-house chef, expertly paired with the wines served.